Edit: Please make all future posts in the most recent topic. Hi everyone, I'm back with another quick post about the progress that has been made on the web version of StratSketch. This was one of the major parts of the application which took quite a bit of time to do. I also worked on finishing the create and join dialogs, adding translation support (although StratSketch has not been translated yet, let me know which languages you would like to see. ), and getting a lot of the behind the scenes server stuff figured out. There is still a lot to do (I'd say it's around 65% done), but most of it is on smaller but still important features, such as ranks and slides, as well as polishing it up and fixing any issues. Hey, is there a set date for the release of the web-based version yet? I play on a mac, so I can't use the Windows version of StratSketch, and am really excited to use it when this project is done! @Spartan_Striker Hi, there is no set release date but I am thinking that a beta test will be out near the end of the month at the earliest. I'm expecting it to be ready for everyone sometime in April. Is there any thing we need to do to get on that beta testing list? I'd like to volunteer to help with it. @Spartan_Striker I am still not sure how I will be doing the beta, it depends on how much testing needs to be done, but I will most likely allow a small group of people to sign up to test it, and then open it up for public beta once I am sure there are no major issues. Since you are interested I will add your account to the list if that is what I end up doing. @Cyral Really looking forward to the web version as well. Sure you are majorly swamped with development for it. I'd as well be willing to help with testing, if the list isn't full yet. As a T10/8, caller I use StratSketch daily for CWs and for all tournaments. Great work btw. Keep up the great work. The community greatly appreciates it. Let me know if you need anything! Edit: Submitted your gdocs form for being able to help with English -> German translation. Do you plan on updating the maps? I'm new to the app but it seems the maps are not all up to date. Pilsen, for example, doesn't exist. The web version will have all of the maps and will be out in around a month. @Cyral Hello, I was wondering if there is currently a way to become a part of Beta whenever it is ready? 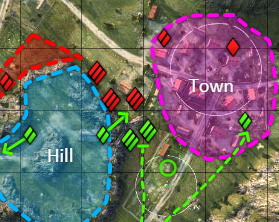 I recently switched my clan (I'm the tactical officer in charge of any calls and tactical divisions) over from Map Tactic and we've all enjoyed the switch so far. @Justyhead00 Just keep an eye out for the announcement, it will be posted in the sidebar and login window of StratSketch when it is ready. Clan officers and callers are the people I will be looking for the most so you should get in. Glad you are enjoying it! @Cyral Any idea when the web-based version would be up? The only problem some of my clan members have is downloading StratSketch, some of the members don't like downloading applications they don't absolutely need. P.S. Keep up the good work, you just need to update some of the maps such as Pilsen, etc! @Justyhead00 I'm aiming for beta in 2-3 weeks and release in about a month, although those are just estimates but I have been on target for those estimates for a while. For some technical reasons mentioned higher up in this thread I cannot update the current version due to an issue with the updater so there will be no further updates for maps. As a field commander I can not express how much I enjoy your project. It is superior to map tactics. The crisp, sharp details are amazing. The simplicity of functions and the ability to bookmark is making it much easier to share/train new battle callers. Thank you so much for the time and effort you have put into this.